An intensive timetable will operate throughout the day, featuring a mix of steam, diesel, railcar and demonstration goods trains. 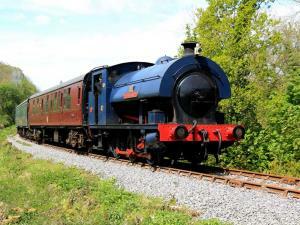 The working timetable will feature all movements – including light engines and goods trains. To make the most of your day, a day rover ticket will offer unlimited travel on all trains on day of purchase. There will also be plenty to see and do at Bronwydd Arms throughout the day.